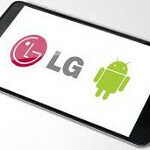 Japanese carrier NTT DoCoMo and Korean manufacturer LG have combined to announce that pre-orders for the LG Optimus Pad will be accepted starting on March 15th. The tablet will have all of the same specs expected on the U.S. version of the device, which will be offered through T-Mobile as the G-Slate, plus some additional features for the Japanese market that NTT DoCoMo is adding to the Optimus Pad. Wireless entertainment service BeeTV will feature programming targeted for DoCoMo's Japanese customers while 2Dfacto is an application for reading eBooks and comics. The Japanese model of the tablet is L-06C. The tablet will certainly have all of the high-end specs baked into the pie. Besides a 1GHz Dual-core Tegra 2 processor, the LG Optimus Pad (and the G-Slate) will be Honeycomb flavored. Dual 5MP cameras on the back of the device support 3D recording and will capture video at HD 1080p. In between those smaller tablets with a 7 inch display and the larger units sporting 10 inch screens, the LG unit has an 8.9 inch display to support one-hand usage. The resolution of the screen is 1280 x 768. And don't forget the HDMI output that comes with the pad which will transfer 3D images to 3D enabled TVs.